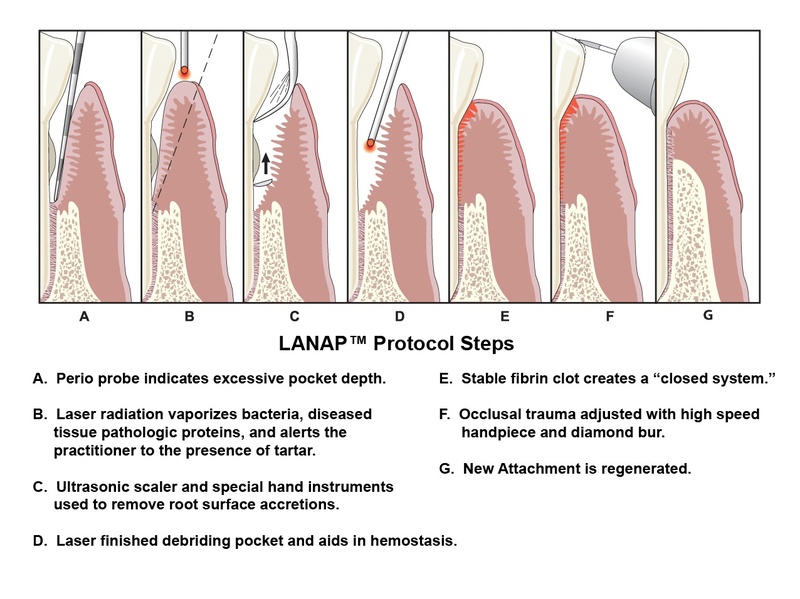 LANAP is an amazing breakthrough in periodontal treatments. If you have been told you need scalpel and suture gum surgery, there's a laser alternative you need to learn about. The way to repair the damage is to get rid of the infection and close up the pockets. Until now, that meant surgery and sutures. But today, many dentists offer the LANAP® Protocol, a patient-friendly, minimally-invasive procedure that's a great improvement over standard gum surgery.